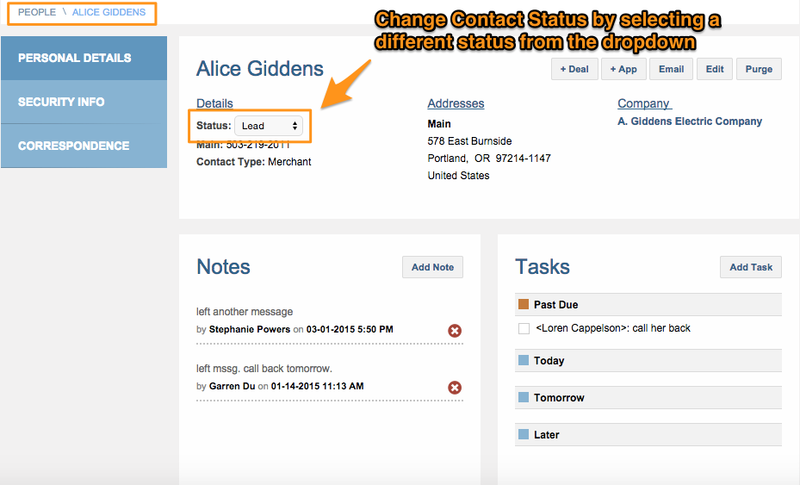 Contact status defines the person's current relationship with your organization. 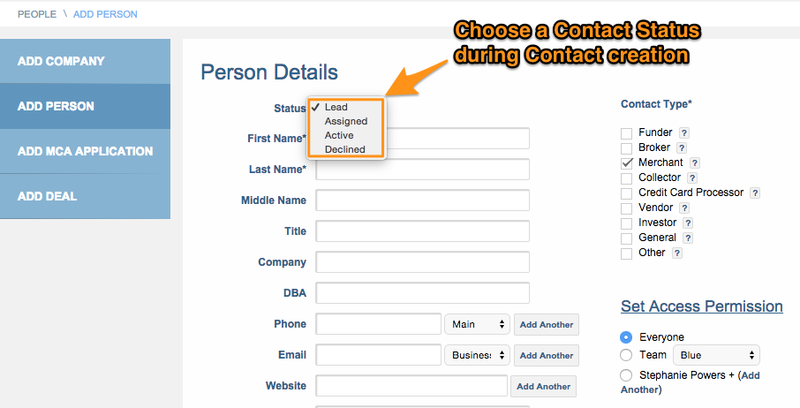 Contact status is primarily used for Contacts with a Merchant Contact Types. All other Contact Types (Funder, Broker, Investor, etc.) will have an "Active" Contact Status in MCA Suite. Lead – The lead status refers to contacts received from marketing partners and third-party vendors (they can also be manually added). These contacts are considered new leads by funders and brokers. Sales managers can assign these contacts to brokers/agents to follow-up on the lead. MCA Suite has two options for importing leads into the system: via MCA Suite’s Web API or through an Excel/CSV file import. 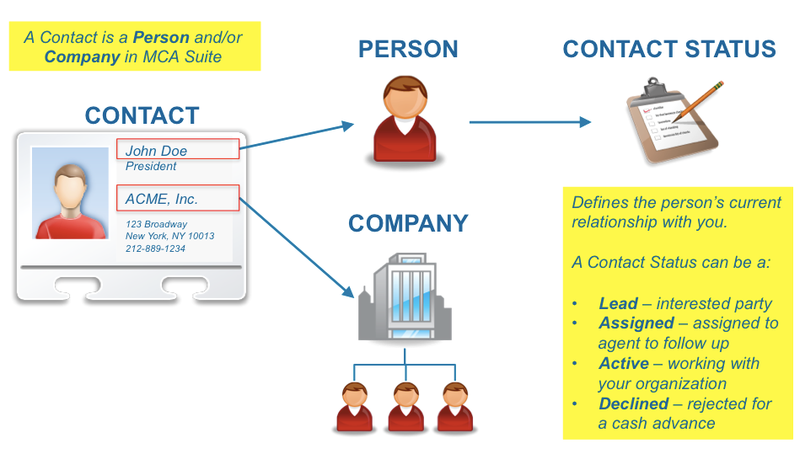 Assigned – The assigned status means the contact has been assigned to a broker/agent (user in MCA Suite) to work on the lead. MCA Suite allows sales managers to set contact-level security to allow all brokers to see contact information, or for one broker to see only one set of contacts. Active – The active status means the contact is actively working with the funder or broker. This can be set manually or by simply creating a deal or an application for merchant contact-types (for the company connected to that particular contact person). Declined – It means this contact does not want to do business with the funder or broker. A contact cannot be set to “declined” if s/he is associated with a current merchant cash advance deal. You can also change the Contact Status from the Contact Detail page.